As I usually have my practicum at Sir Charles Gairdner Hospital on Tuesdays, I decided to catch up with two of my uni friends, Clara and Tracy for lunch as I have not seen them in a while. So we decided to catch up at Santi’s which is not very far from QEII Medical Centre and the hospital. Being in the area brings back many fond memories of my undergraduate degree where I used to walk along Hampden road with my course mates for lunch before a lab or to hang out after a class. There are many eateries along Hampden Road but they say that Santi’s is one of the finest eateries there whether it is for breakfast, brunch, lunch or coffee. Not long after we ordered our food and were seated, the cafe suddenly became quite busy. This shows how popular Santi’s is. 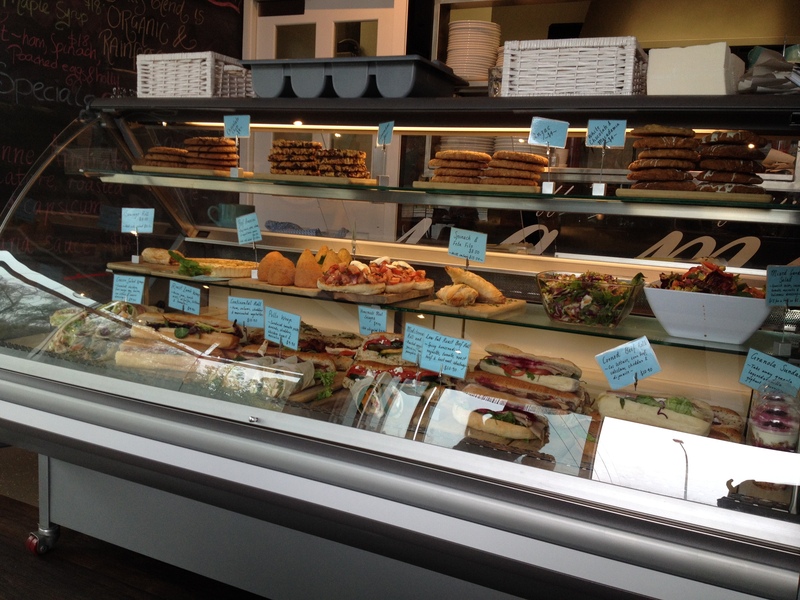 The cakes at the front counter and the cookies and paninis looked very tempting indeed. After going through the menu and having a look at the Specials, I eventually came to a decision and ordered the Penne Arrabiatta with Cacciatore, roasted eggplant and capsicum with Napolitana sauce ($18). The portion was very decent and I thought that the pasta was delicious. It was fresh and full of flavour. The Napolitana sauce blended well with the pasta too. Overall, the pasta was cooked perfectly and the dish was executed well. Clara ordered the Eggs Benedict ($18). 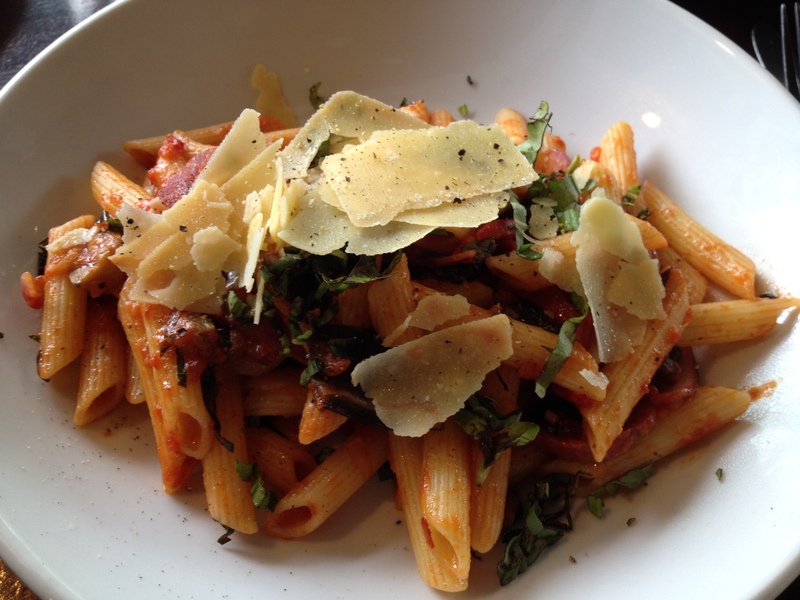 Here is Clara’s review: What better way to indulge than to have lunch at Santi’s. 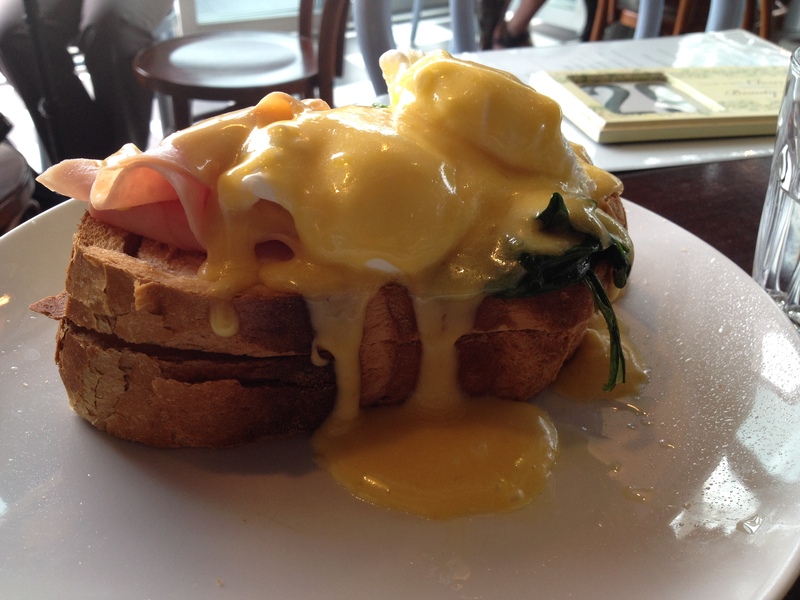 The Eggs Benedict were finger licking good albeit a little too saucy in my opinion. Nevertheless delicious food with generous portions! I’ll be back for more! Tracy had the Santi’s Club Sandwich ($19.50). 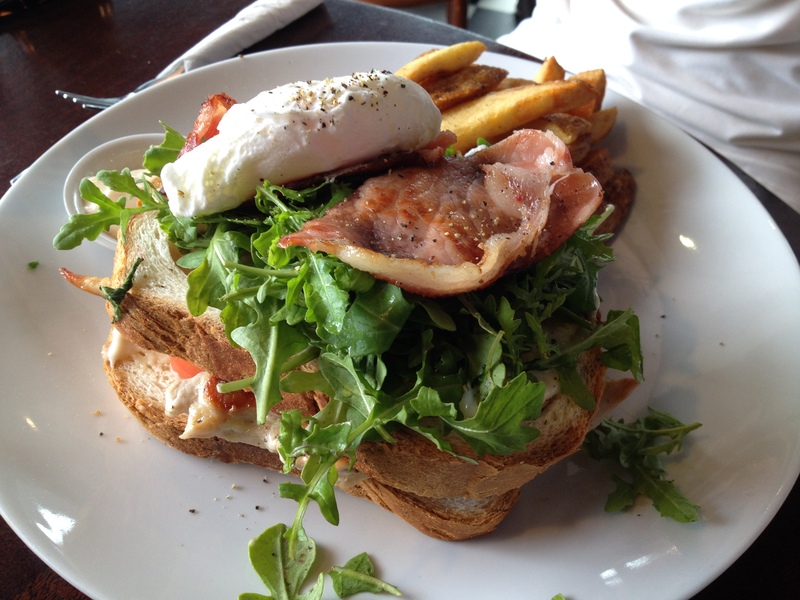 Here is Tracy’s review of her club sandwich: The club sandwich was delicious and very filling. The bacon was crispy and the salad was on point but what made the dish was the perfectly poached eggs and the homemade chips. Only qualm was that there was enough aioli for those delicious chips!! Loved the rustic feel to the place and the incredibly attentive staff. Hope to enjoy many more lunches here in the future. Overall, we had a very satisfying lunch and it was great to catch up with my uni friends. The service at Santi’s was very friendly and efficient. Santi’s is a great place to catch up with friends over coffee or have breakfast or brunch. I think I will be making a trip back to Santi’s very soon just to try other dishes on their menu and their cakes. Oh, and I also heard coffee is excellent too!